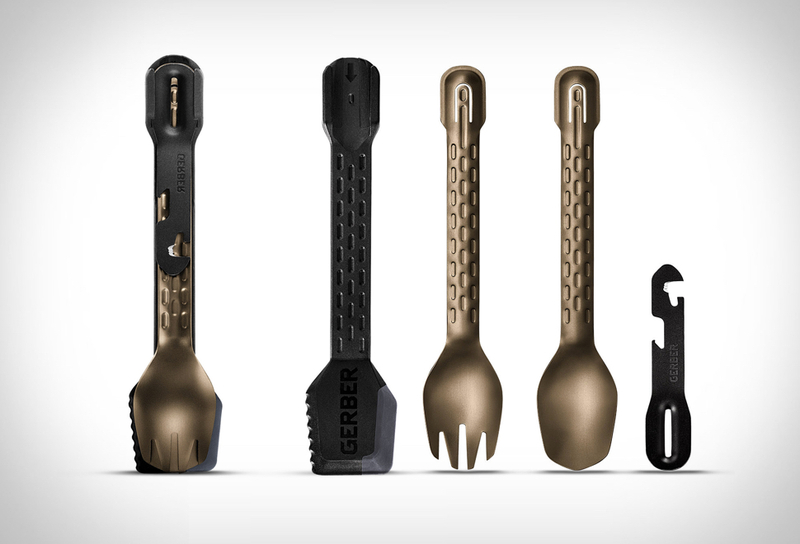 Gerber´s ComplEAT culinary multitool offers convenience of a home kitchen in the wild. 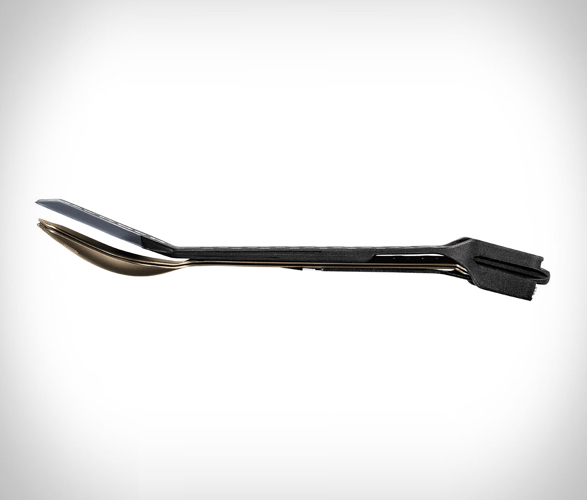 The innovative tool is comprised of 4 components: aluminum spoon and fork, a silicon dual-sided spatula, and a 4 function multi-tool. 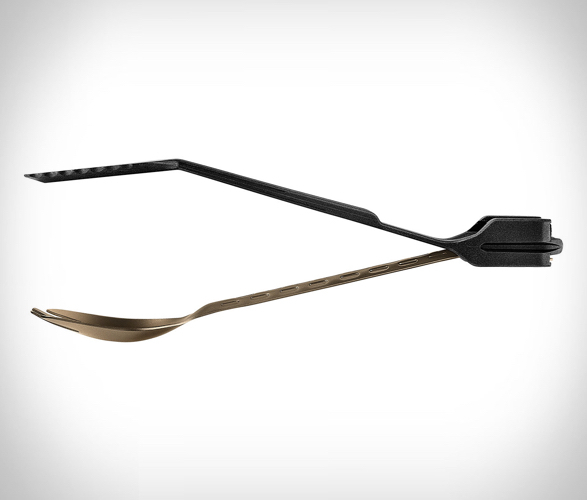 Flip the spatula around and connect it to the fork for camp tongs. 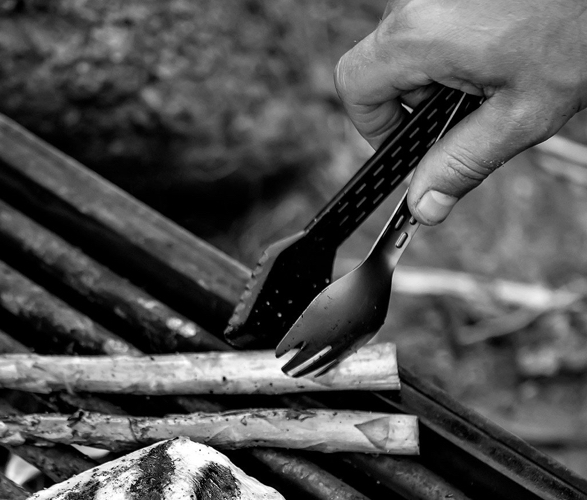 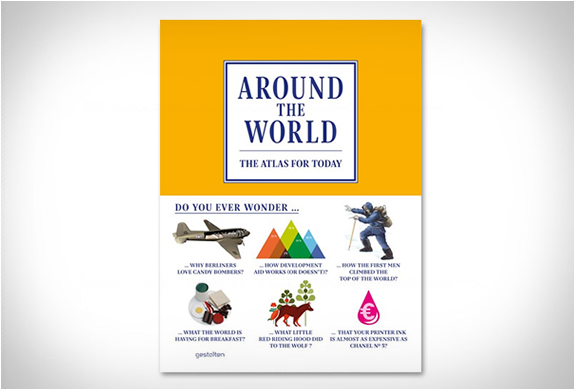 Plus, the kit includes a handheld multitool with bottle opener, veggie peeler, serrated package opener, and can opener. 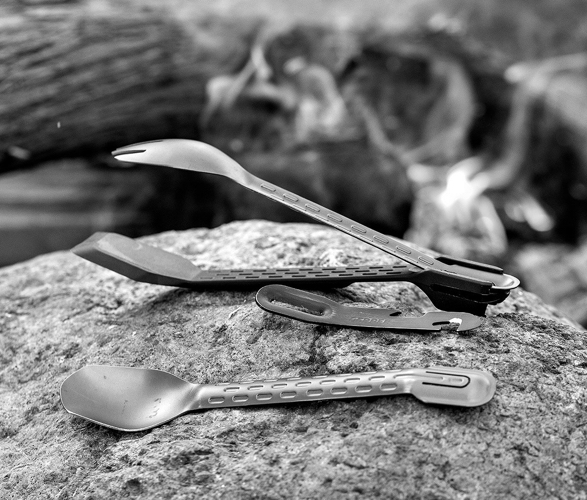 The ComplEAT has 9 tools on hand for prep, eating, and cleaning.